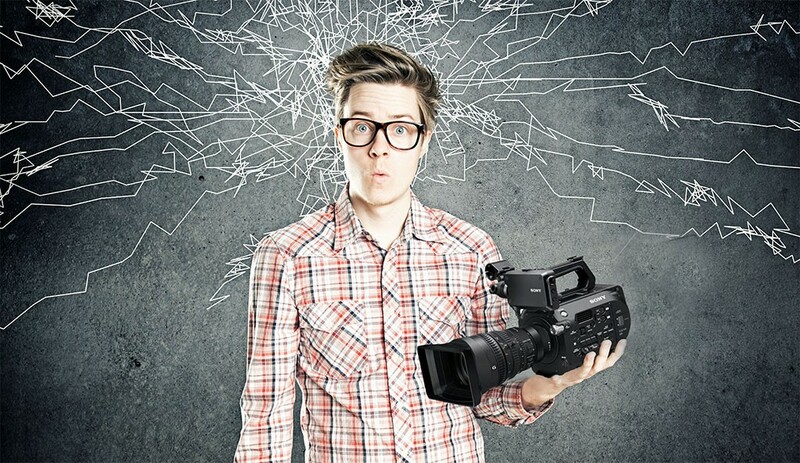 Since the first video camera was introduced way back at the end of the 19th century, it has evolved and reformed so much that cameras from then and now don’t even seem to be in the same category. Even with so much change over 120 years, the camera technology introduced just since the turn of the 21st century has made more advancement then the previous 100 years preceding it. Following in true form, in just the last 5 years new technologies have made it possible for more and more people to get there hands on professional level gear, and make it smaller and smaller. So, here is my list of top 5 futuristic video technology. Now, the only reason this new piece of technology is coming in at number 5 is for the simple fact that it isn’t out yet, and has only exclusively been tested by the creators at MIT. Lytro Immerge is a camera system that immerses the viewer actually into the scene and allows the person viewing it to move around the scene. It brings virtual reality and reality together to create an incredible user experience. While prototype videos and prototype access are available, we are still probably 2 or 3 years away from a full look at this incredible technology. Since the beginning of video directors were able to manipulate what there audience saw by choosing what they pointed there camera at. Now, filmmakers can show their audiences everything they see, all 360 degrees. This camera has become very popular on Youtube, especially after being picked up by Casey Neistat, and has changed the way people watch videos to be more interactive, and gives them a glimpse into everything going on. Although drones have been around for several years now, and the quality continues to get better and better, nothing even comes close to the Lily camera. Unlike most camera drones that require a person to fly it with a remote, the Lily can actually follow any subject with the included GPS tracker that you put in your pocket. This camera has changed our ability to get incredible drone action shots, without having to worry about the human error of the possibility of running into a tree. Since the introduction of steadicams in the mid 1970’s, video has drastically changed based on this technology and the ability to follow people with a camera without the video looking like you are in a war zone. Most steadicams are big, bulky rigs that attach to the front of your body and make it hard to maneuver around, but the DJI Osmo has changed all of that. The Osmo is a 3-axis gimbal that fits into the palm of your hand. It shoots in 4k, and it allows the user to get incredibly shots, without all the weight involved with the gimbals of before. Did I mention that it costs less then $700? I know what you’re thinking, how can a phone be number 1 on the list, but hear me out. Just like a lot of this top 5 list, these new technologies have all made capturing high quality video fit into the palm of your hand. In true Apple fashion, the newest iPhone 6s has 4K recording abilities. 4k. That is true insanity. Not even 5 years ago 4k was barely even possible, especially not for consumers. Used with a few other tools like the EnCinema SLR Adaptor and the iKan cradle, it is possible to create full, 4k video just by using the iPhone 6s. The video team over at RYOT did just that, and provided a behind the scenes video into the incredible capabilities of this phone and its potential to be used as a serious film making device. All of this new technology is extremely incredible and is making it easier for any one and everyone to become a filmmaker and create incredible looking content.